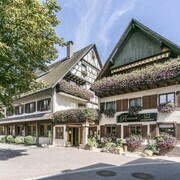 Located in the heart of Loerrach, this luxury hotel is within a 10-minute walk of Dreilandermuseum Loerrach and Burghof Loerrach. Beyeler Foundation is 2.2 mi (3.6 km) away. Lörrach Central S-Bahn and Loerrach Central Station are within a 5-minute walk. 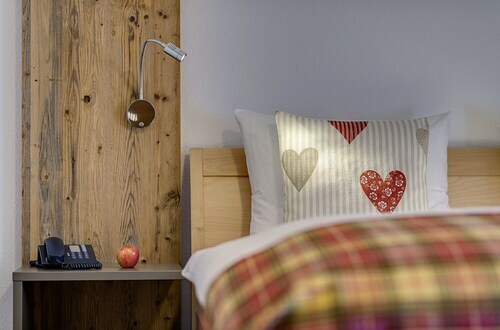 Situated in Hinterzarten, this hotel is 0.1 mi (0.1 km) from Lake Titisee and 1.5 mi (2.4 km) from Badeparadies Schwarzwald. Golfclub Hochschwarzwald and Toy Museum are also within 3 mi (5 km). Titisee Station is 22 minutes by foot. 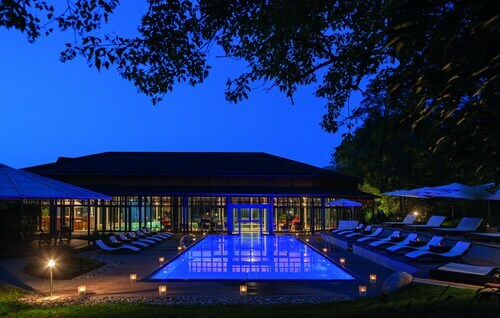 Situated near the airport, this hotel is within 1 mi (2 km) of Rhein Center and Vitra Design Museum. Eaux Vives Park and Dreilaendereck are also within 2 mi (3 km). Weil am Rhein Bahnhof/Zentrum Tram Stop is 23 minutes by foot and Weil Am Rhein Station is 26 minutes. This family-friendly hotel is located in the city center, where area attractions include Museum Husli, Radon Revital Bad, and Badeparadies Schwarzwald. 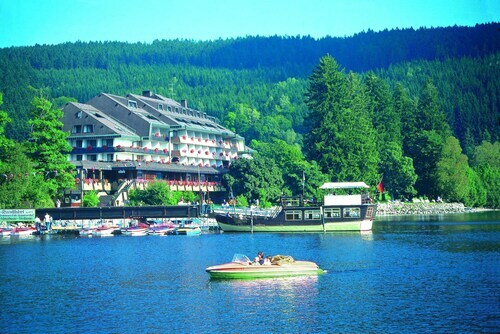 Area attractions also include Ski Arena Spießhorn and Lake Titisee. Situated in Todtmoos, this pension is 5.4 mi (8.6 km) from Heimatmuseum Resenhof and within 12 mi (20 km) of Dom St. Blasien and Radon Revital Bad. Ski Arena Spießhorn and Textile Museum are also within 12 mi (20 km). 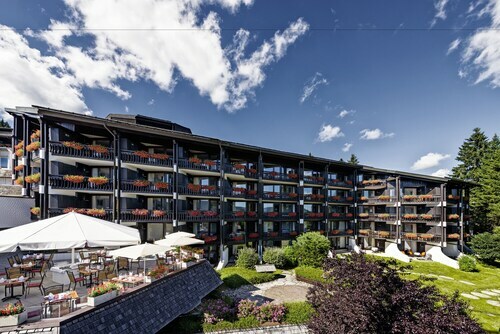 Located in the mountains, this slopeside hotel offers ski-in/ski-out access in Titisee-Neustadt within 2 mi (3 km) of Badeparadies Schwarzwald and Lake Titisee and close to winter sports such as cross-country skiing and skiing lessons. Feldberg Ski Resort and German Clock Museum are also within 20 mi (32 km). Situated in Badenweiler, this luxury hotel is within a 5-minute walk of Badenweiler Castle and Badenweiler Roman Bath Ruins. Hochblauen and Kandertalbahn Museum are also within 9 mi (15 km). 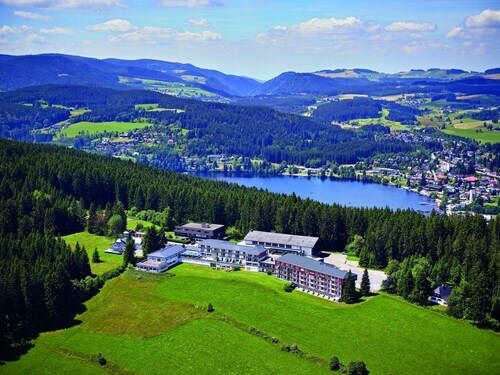 Situated in a rural location, this luxury hotel is 1.2 mi (2 km) from Lake Titisee and 2.1 mi (3.3 km) from Badeparadies Schwarzwald. Golfclub Hochschwarzwald is 2.5 mi (4 km) away. 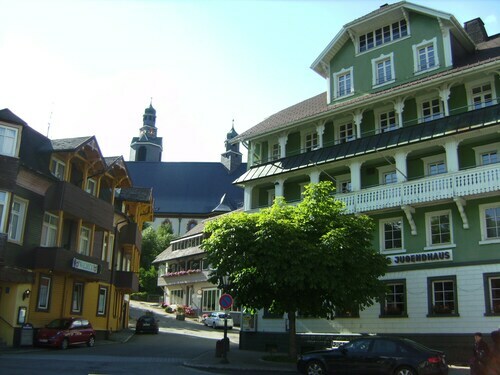 Located near the slopes, this Titisee-Neustadt hotel is on a lake and within 1 mi (2 km) of Golfclub Hochschwarzwald, Lake Titisee, and Badeparadies Schwarzwald. Toy Museum is 2.5 mi (4.1 km) away. Titisee Station is 9 minutes by foot. This family-friendly Hinterzarten hotel is located in a rural location, within 2 mi (3 km) of Toy Museum and Golfclub Hochschwarzwald. Lake Titisee and Badeparadies Schwarzwald are also within 3 mi (5 km). Hinterzarten Station is 5 minutes by foot. 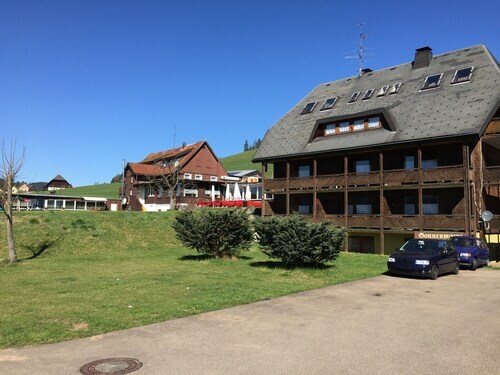 How Much is a Hotel Room in Southern Black Forest? Hotels in Southern Black Forest start at $55 per night. Prices and availability subject to change. Additional terms may apply. Pack your bags—it’s time to embark on a getaway. Whether you’re craving a solo retreat or promising your family a vacation to remember, book one of the best hotels in Southern Black Forest. These hotels are located within easy access of the city’s hottest attractions and entertainment, so you won’t miss a beat while you’re in town. Spend the days exploring the local landmarks and the evenings getting to know the nightlife. After exploring the city from top to bottom, rest up at a hotel that speaks to you. Find the perfect place that matches your trip’s vibe, from a trendy boutique to family-friendly accommodations. Allow us here at Travelocity to pair you with up Southern Black Forest hotels that suit your vacation preferences. Discover places with convenient on-site restaurants, around-the-clock service, and pools where your kids can make a splash. Some hotels may boast fitness rooms and spa services, while others feature game rooms and Wi-Fi access. To top it all off, you’ll score cheap hotels in Southern Black Forest that let you spend more on your activities and less on your lodging. Book and bundle your flight and hotel deals together today and save up to $537. It’s time to explore a new city, and break out of your routine. We chose this hotel rather than staying at an AirBnB in order to have support for people with limited mobility. First, the actual booking of the hotel cost more than what was listed on travelocity. You book a room with beds for 4 people - BUT the price is not for 4 people actually staying in the room. Each person beyond two is 50euro extra, but you only see that at booking checkout. Sorry hotel VJ, but that is a total ripoff. Second, there are stairs everywhere. You can't get to the breakfast room without stairs. You can't get to dinner without going down a long long long sloping hallway - with NO hand railings. This made any movement within the hotel exceedingly difficult for us, and the staff (especially front desk) did not seem to care. This was not worth the price we paid, and we won't stay here again. A very comfortable and affordable hotel in the Basel area. Staff was very helpful and friendly. Facility is older but everything was clean and in order.